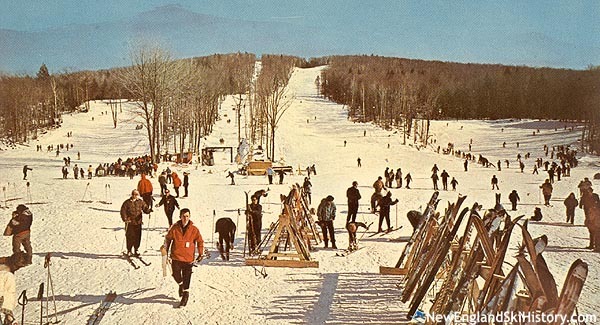 Located northwest of Hartford, Ski Sundown is a popular regional facility for skiers of all abilities. Ski Sundown features a variety of terrain with night skiing and snowmaking. Early bird Woodbury ski area has yet to open. Looking to satisfy its niche of local expert skiers, Ski Sundown has cut a new expert trail from the summit.